Arsenal playmaker Mesut Ozil is set to see his contract expire at the end of the season, and Barcelona have been paired with an interest. Whether it’s on a free transfer at the end of the season, or as Mundo Deportivo suggest, a swoop in January in a cut-price deal given he’ll have just six months remaining on his deal, from a financial standpoint it seems to make plenty of sense. The report makes a strong argument in favour of the deal too, particularly given the fact that there are currently a number of individuals in the Barcelona squad who aren’t convincing, while Ozil would still be eligible to play in the Champions League if he were to arrive in January. Coupled with the fact that the 29-year-old is technically gifted, has the vision and quality to fit into the style of play at Barca, perhaps it would be a sensible move for the Catalan giants to bolster their ranks. It will be important for Ernesto Valverde to keep the current balance in the side though, as they continue to lead the way in La Liga and in their Champions League group and so any new additions in January must certainly add something important to the squad rather than merely making up numbers or struggling to make an immediate impression. The potential signing has split the Mundo Deportivo readership it seems, with the majority of them likely to be Barcelona supporters or followers at least given it’s Catalan based. 53.35 percent (1923 votes) have voted that Barcelona would not do well to sign Ozil in January at the time of writing, with 46.65 percent voting for it. 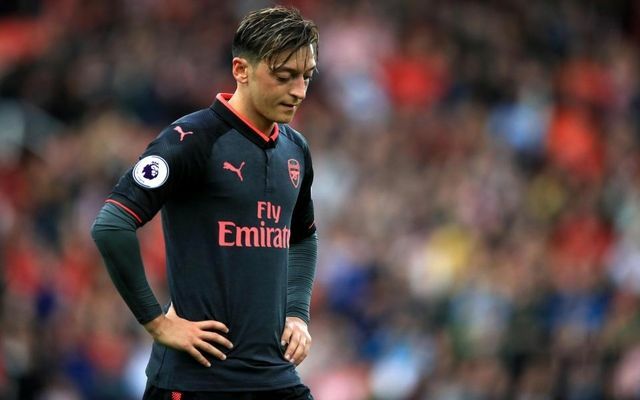 It remains to be seen who will be happier at the end of January, as speculation will likely continue to build in the coming weeks as long as Ozil doesn’t sign a new Arsenal contract.